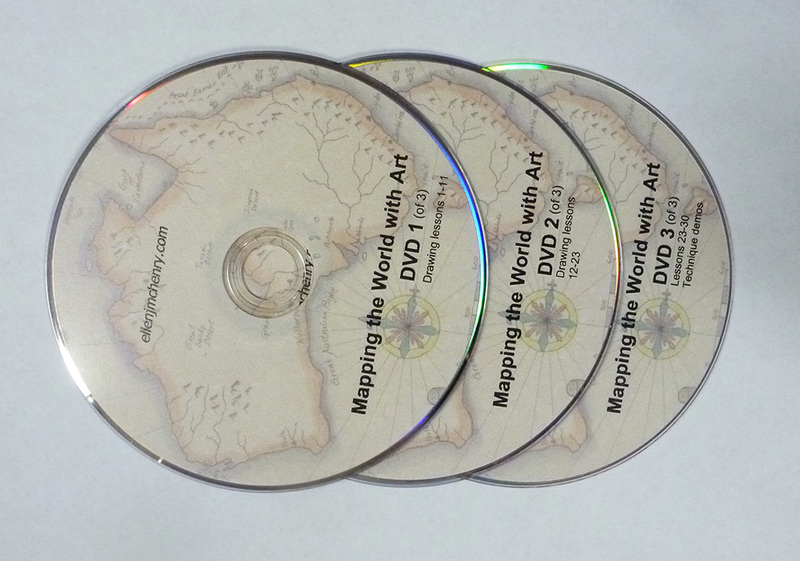 This is exactly the same product as the other “Mapping the World with Art” products, just in a format that lets you stream the videos instead of purchasing the DVDs. You access the course through the eSTORE each time you want to do a lesson. Go to the STORE, then click on MY COURSES. This video ecourse also gives you a digital download version of the book, so you DON’T need to purchase that download separately. No special artistic skill or previous knowledge is required for the drawing lessons. VIDEOS: If you or your student has trouble following step-by-step pictures. you can watch the video of the lessons to get the general idea of how to do the drawing. Please don’t rely on just the video demonstrations, however. 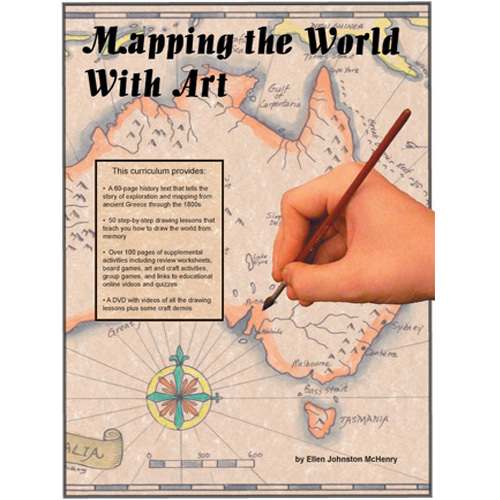 Have the printed versions of the lessons near at hand so you can refer to them for sharper images of sketch lines and labels. NOTE: If you are in Classical Conversations, please see the note at the bottom of the FAQ’s. — How much would it cost to print out the book using my own printer? Printing out the entire book can be a bit pricey, as there are so many color pages. If you own a laser printer, you can probably print out a copy of the entire book for about 3 cents a page, which would be a total of around $10-12 US dollars. Copy shops may charge as much as $30 USD to print the book. And that’s not including binding. You might find that it is actually cheaper to order the paperback version on Amazon.com or BookDepository.com.